India Laboratory needed for product development of an aagharbhati fragrance. Fragrance must be in compliance with India government standards. Interested in this Perfumes, Fragrances, and Aromatics Request? 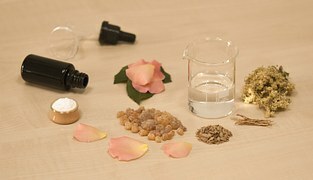 Other perfumes, fragrances, and aromatics laboratory services. Need Perfumes, Fragrances, and Aromatics Testing or Scientific Research? Save time and money searching. Simply, submit a Perfumes, Fragrances, and Aromatics request to find the laboratories or lab suppliers that best meet your needs.